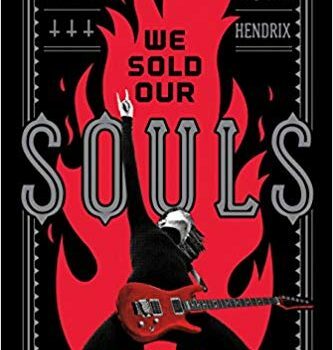 We Sold Our Souls, Grady Hendrix (Quirk Books 978-1683690122, $24.99, 336pp, hc) September 2018. I first fell in love with Grady Hendrix’s critical work with his laugh-till-you-cry-recaps of each godawful episode of Under the Dome for Tor.com. Those summaries were the only reason I persevered with the show (and I still couldn’t make it to the bitter end). I was on-board for his ambitious Stephen King reread (also for Tor.com), reviewing and providing historical context for each book. Each week I eagerly anticipated his latest Freaky Friday column, (Tor.com again) a hilarious love letter to the trashy, out-of-print horror novels published in the ’70s and ’80s. I admit I was slow to embrace Hendrix’s fiction; I’ve yet to read his debut novel, Horrorstor. When I did take a dip, with his 2016 follow-up, My Best Friend’s Exorcism, I rated it as one of my favourite reads for that year. All of this seems to be leading to the inevitable “but…” about his latest novel, We Sold Our Souls. Fear not, Hen­drix smashes it out of the park. The book opens with a young Kris Pulaski discovering she has an affinity for the guitar. We then fast forward 33 years to find Pulaski, now in her mid-forties, working the reception desk at her local Best Western, earning less than minimum wage to watch one of her customers urinate all over the floor. This was not the life she had envis­aged for herself when she picked up that guitar, when she bonded over Black Sabbath with Terry Hunt, or when the two of them formed a metal band called Dürt Würk. However, on the night they were all meant to sign contracts with a big label, Kris, maybe drunk, maybe on drugs, drives herself and the band members (except for Terry) off the road in their beaten up van. Everyone survives, but the accident, which leaves the drummer, Bill, in a wheelchair, breaks Dürt Würk apart, with most of the blame levelled at Kris. In the meantime, Terry goes it alone, forms a new group called Koffin and hits the big time. That is all well and good except he – or at least his lawyers – compel Kris to sign an arrangement that forbids her from ever publicly playing a Dürt Würk song again. More insidious though is that Kris can’t remember details of the night they were all meant to sign with the label. 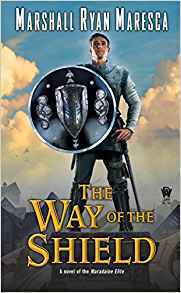 It’s not just the accident that’s wiped her memory; there’s evidence of missing time and the possibility she may have unwittingly sold her soul to Terry, to the Blind King, to the unspeakable denizens of Black Iron Mountain. We Sold Our Souls is Grady Hendrix’s self-aware take on the horror/heavy metal subgenre made notorious by splatterpunk in the late ’80s. You might remember it from such seminal works as The Scream by Craig Spector & John Skipp and The Kill Riff by David J. Schow. We Sold Our Souls is in direct conversation with those novels, in particular, regarding the treatment of women. 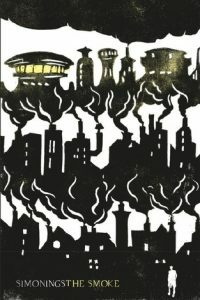 When Hendrix covers splatterpunk in Paperbacks from Hell (a terrific, lavish book that charts the rise and fall of the horror genre), he points out that “the first female character in The Scream is introduced to readers as we’re invited to look up her skirt.” We Sold Our Souls addresses this by featuring two strong female perspectives. As mentioned, there’s Kris, who, despite grappling with poverty, depression, and killers masquerading as UPS couriers, embarks on a dangerous road-trip to confront Terry and the evil of Black Iron Mountain. There’s Melanie, who leaves her dead-end job and her dead-end boyfriend to see Koffin in concert on their last-ever tour. They are both believable, likeable, driven women, who, refreshingly, are never sexualised or required to play the role of victim. While the novel is violent, Hendrix tones down the gratuitous splatter for something a great deal more effective and disturbing. The opening chap­ters capture the rot and decay of rust-belt Penn­sylvania, not just the rundown Best Western but the “abandoned houses [that] vomited green vines all over themselves…. Raccoons slept in collapsed basements and generations of possums bred in unoccupied master bedrooms.” It’s an America one step closer to a dystopia where hopelessness has become a disease, where every week there’s a new insane conspiracy theory and where everyone and everything is surveilled. Added to this is the music, Kris’s melodramatic lyrics, steeped in a Cthulhu-type mythology that heightens the novel’s dark, suffocat­ing atmosphere. 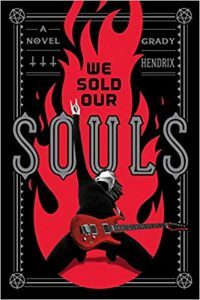 The horror of We Sold Our Souls isn’t so much the creatures who feast on creativity – they’re the least effective aspect of the book – but that Hendrix’s America – the despair, the anger, the acts of shocking brutality – seems all too familiar.